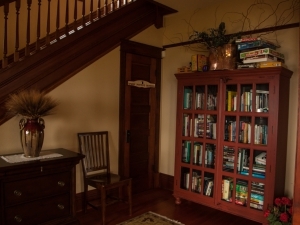 You may remember that Harry Potter lived under the staircase in his foster parents’ home. 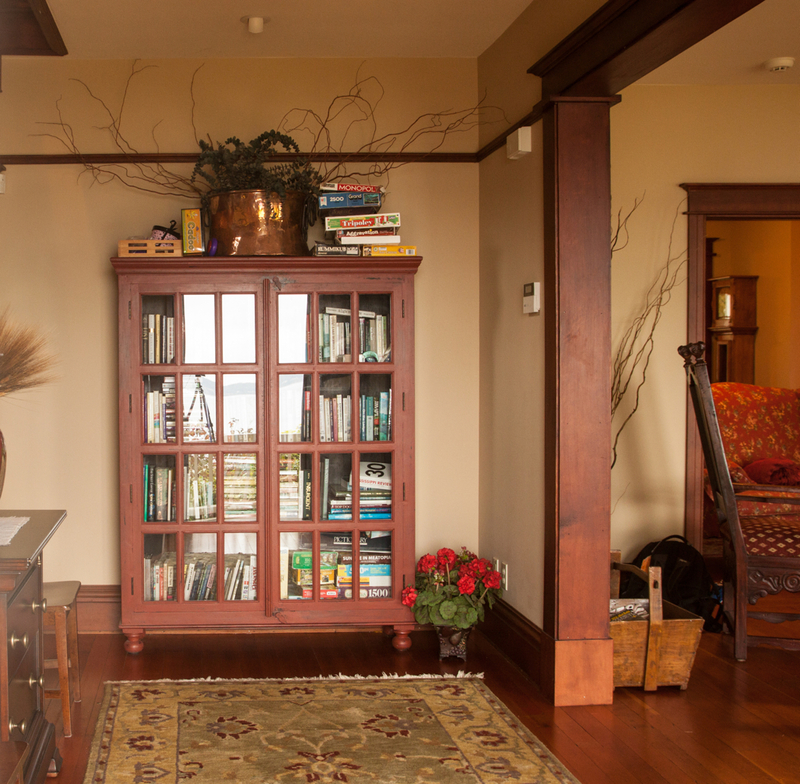 At Marty’s Place, this room is not actually a bedroom. Come see what it actually is during your stay. 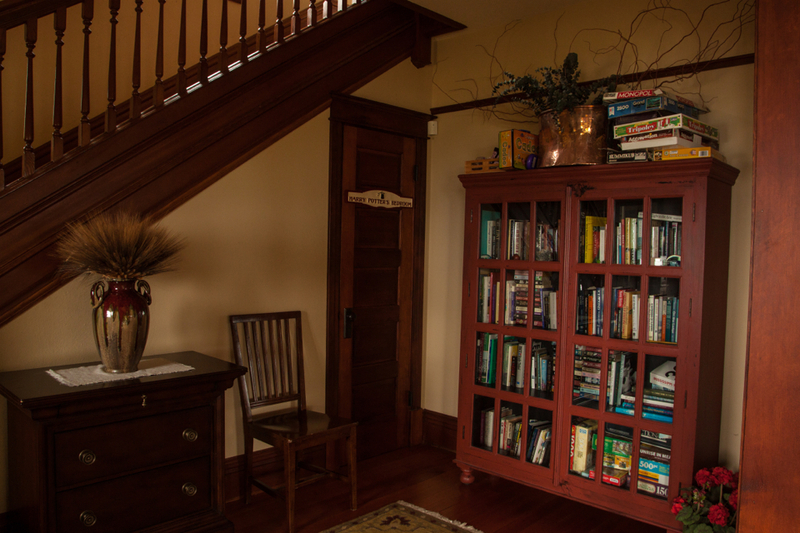 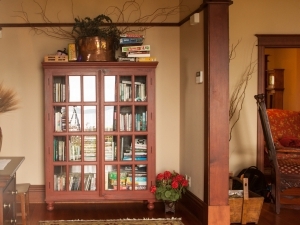 Just outside of Harry Potter’s Bedroom is a cabinet that holds many books and games for our guests to use. 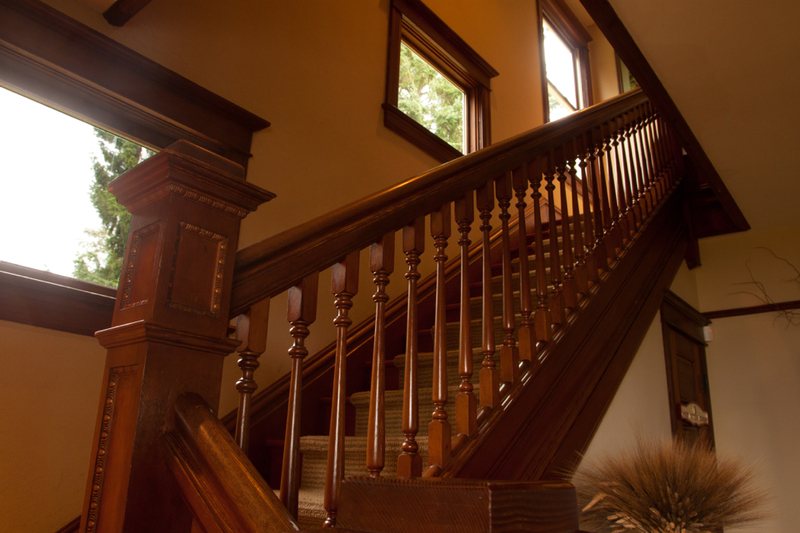 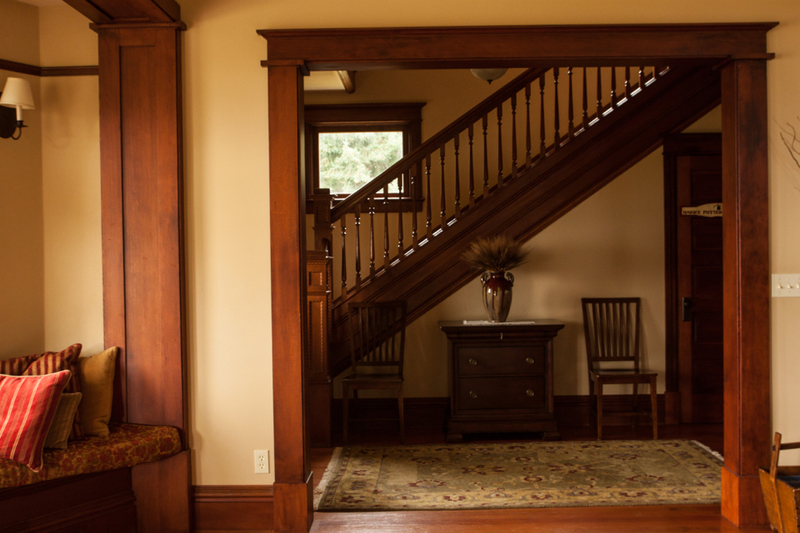 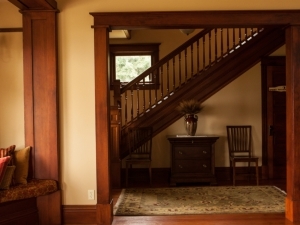 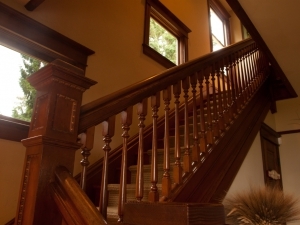 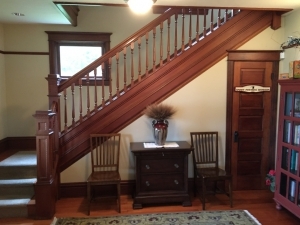 The wooden staircase leads up to the second floor where most of the bedrooms are located.